The Lithic Studies Society is holding a day conference in Oxford on Sunday 19 November. 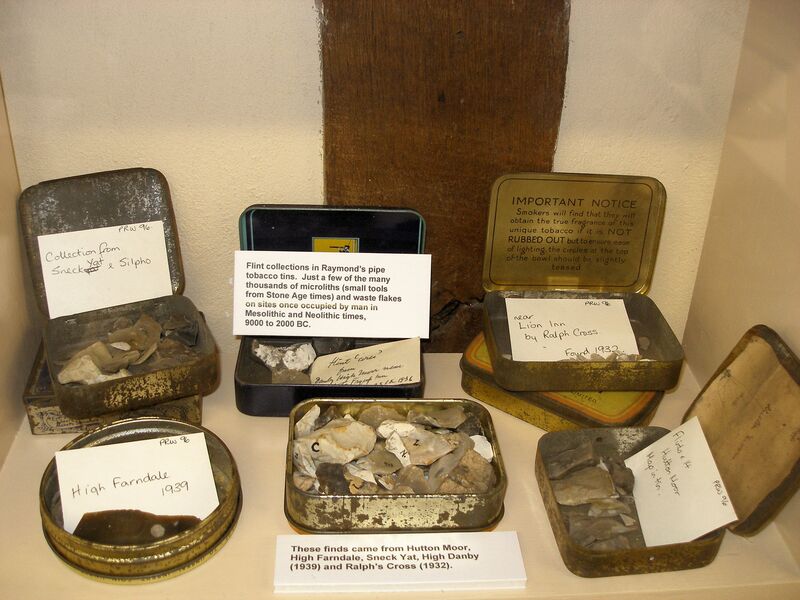 The theme is a hot topic with a great line-up of speakers who will present their experiences of gleaning valuable new insights from legacy lithics collections. I’m booked, so hopefully see you there! The ongoing problems on Eston Hills and neighbouring farmland will be the subject of a Public Meeting hosted by Anna Turley MP at the Cleveland Inn, 37 Cleveland St, Normanby, Middlesbrough TS6 0LX at 5.30pm on Friday 28 April 2017. Cleveland Police Commissioner Barry Coppinger and ICE AND FIRE project director Adam Mead will also be in attendance. The meeting is intended to discuss and explore, in an open community forum, both the issues and how cooperation between local government authorities, the emergency services, landowners, schools, residents and businesses might work together more effectively. Acts of fire-setting, the burning of abandoned vehicles, illegal 4×4 and off-road vehicles, fly-tipping and other anti-social behaviour persist on an increasingly frequent basis, despite ongoing efforts by local services and voluntary organisations, including the Friends of Eston Hills, and media coverage. The ICE AND FIRE project team and its stakeholders also believe that shifting public opinion – across generations from school children, their parents and people who benefit from tourism and economic footfall – is a local and regional priority. While the project aims to rescue archaeological and environmental assets where they are at risk, the longer term solutions must involve a coordinated effort to make anti-social behaviour entirely unacceptable in a community that values its rich historic, archaeological and natural environment. ◊ Microburin is delighted to have a poster accepted for Elmet Archaeological Services popular archaeology day, Sat 28 May at Dearne Valley College, South Yorkshire – with a keynote address by Carenza Lewis! Our understanding of the late and post-glacial archaeology of north-east Yorkshire and the Tees–Swale river catchments has, surprisingly, changed little since reconnaissance work in the mid-to-late 20th century, often poorly recorded. Since Jeff Radley’s 1969 paper The Mesolithic Period in North-East Yorkshire, and subsequent syntheses, little new data – or reliable radiocarbon chronologies – have been added to the archaeological record. The palaeo-environmental context, however, is much better understood after decades of research. This poster presents new lithics and feature-based evidence in ‘persistent places’, spanning the six thousand years of the Mesolithic. 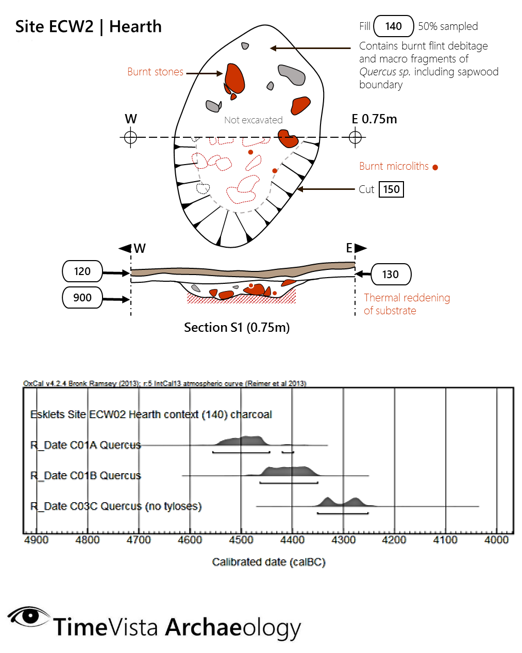 Thirteen new radiocarbon determinations suggest the possibility of a very late and ‘terminal’ Mesolithic presence, aligned to pre-elm decline landscape disturbance sequences, around the fifth to fourth millennium cal BC transition in the uplands – commensurate with Early Neolithic structural evidence on the coast. In his blog this week, Robert talks to the development rationale, process, software, data sources and user options. 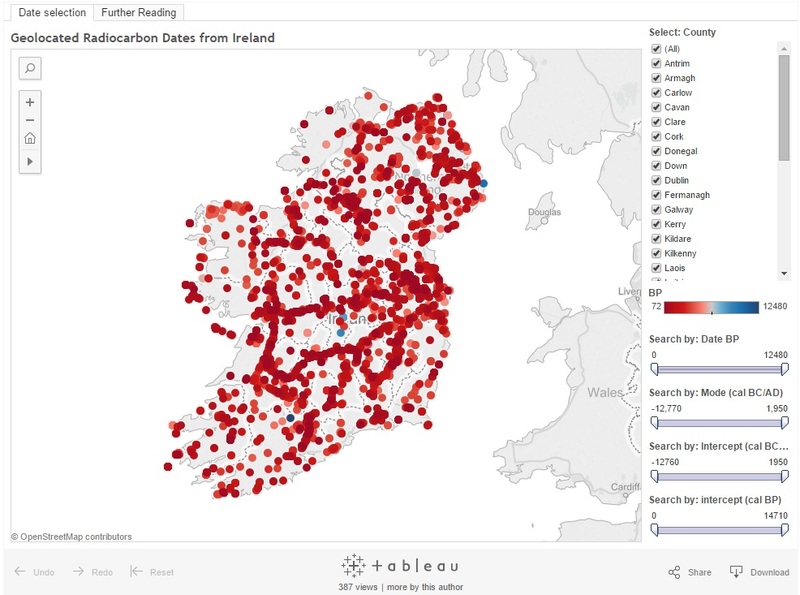 The data visualisation is hosted on Tableau public servers and can be viewed directly there, or through the embedded version at the end of his blog post.